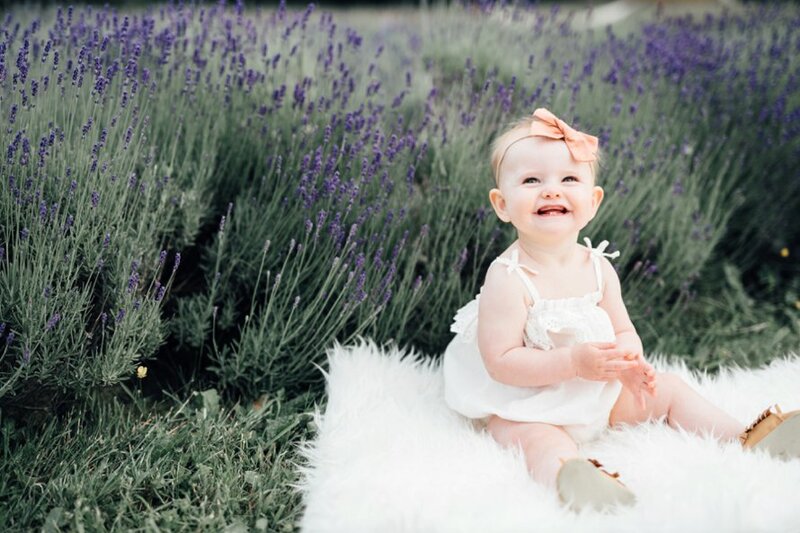 Going back to the place we last photographed this sweet girl in her mama's belly made for a time of reminiscing and the best memory making! 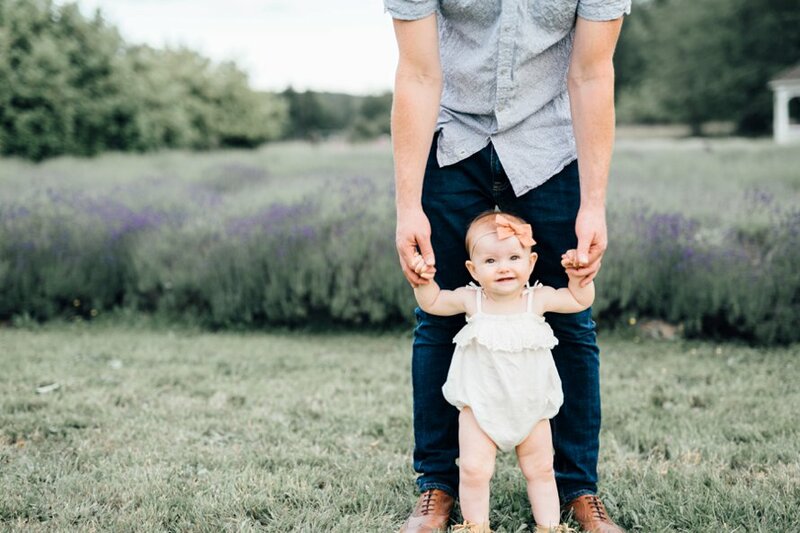 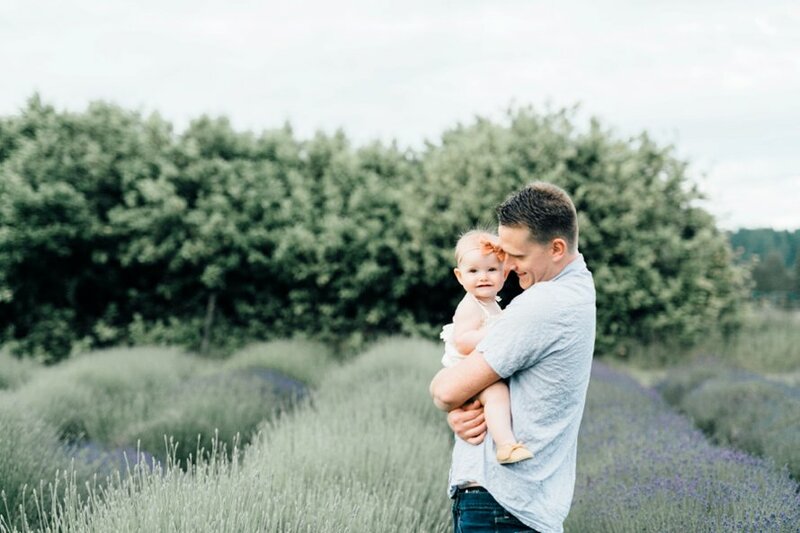 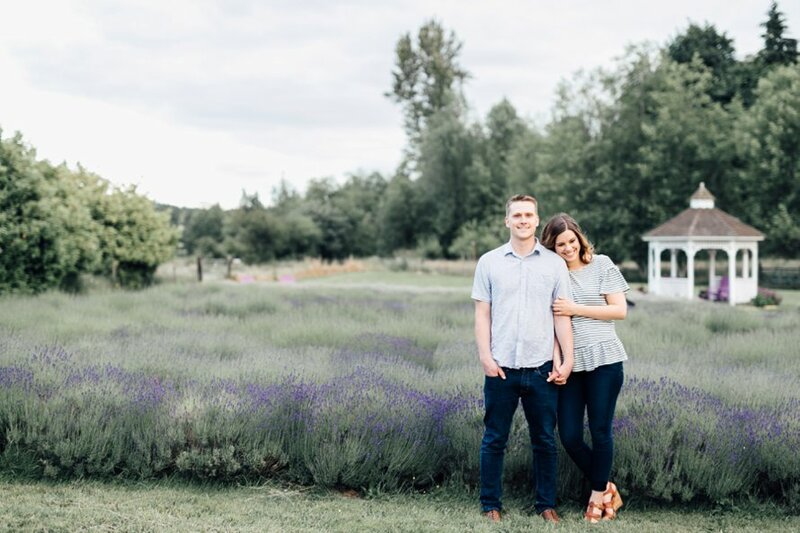 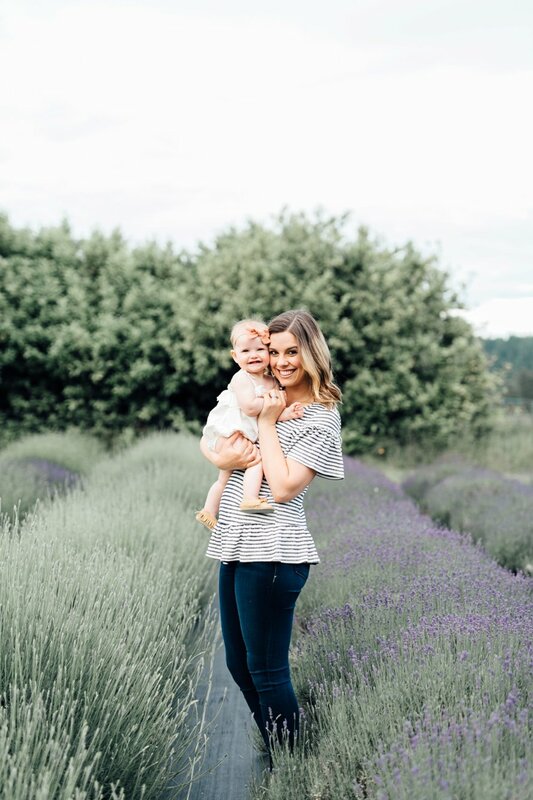 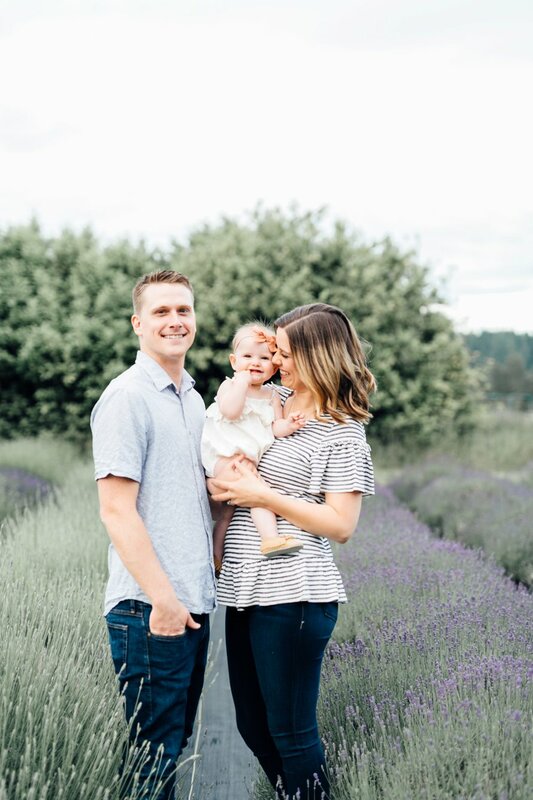 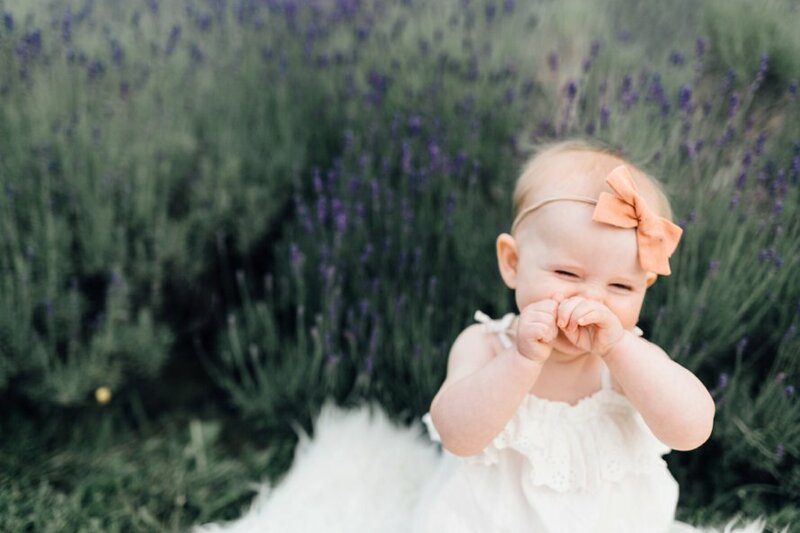 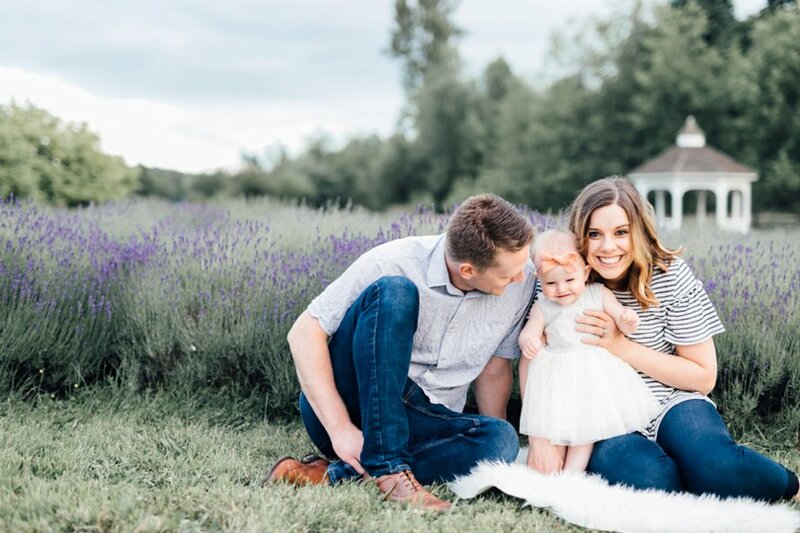 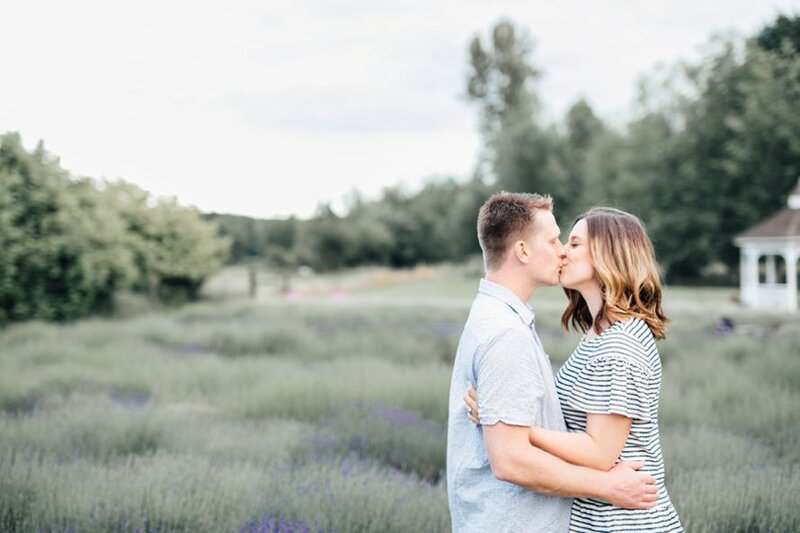 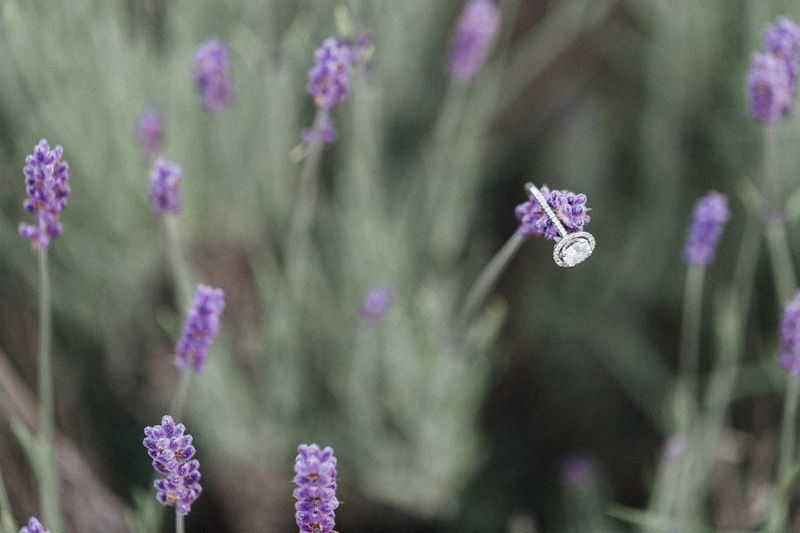 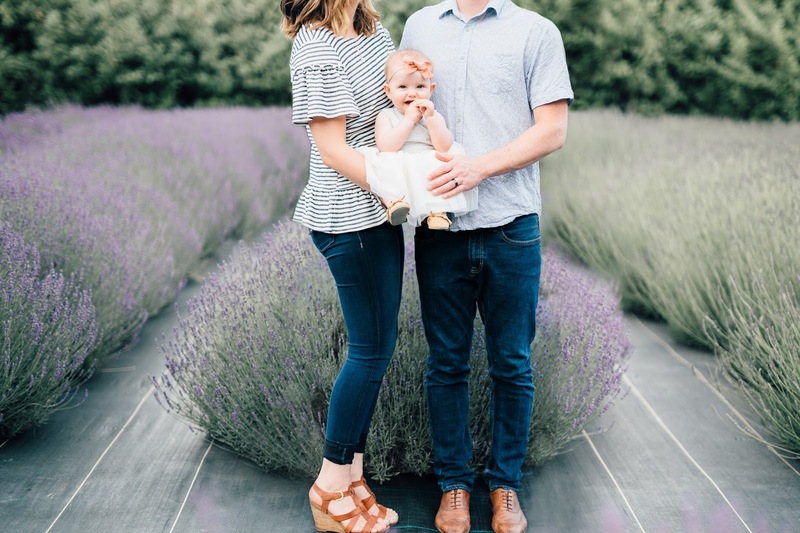 Between loving the feeling of grass between her toes and the smell of lavender all around, (a bundle of which hangs in her nursery from our time at Evergreen Valley Lavender Farm last year!) 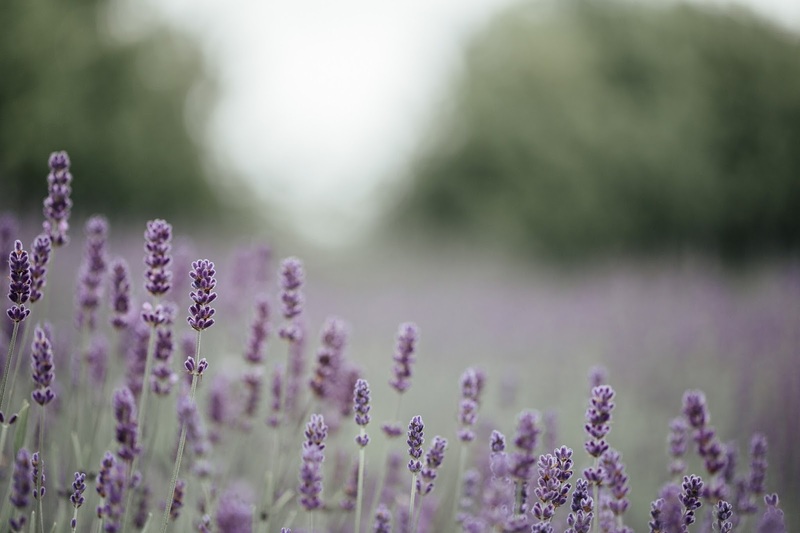 it was a dream of a June afternoon. 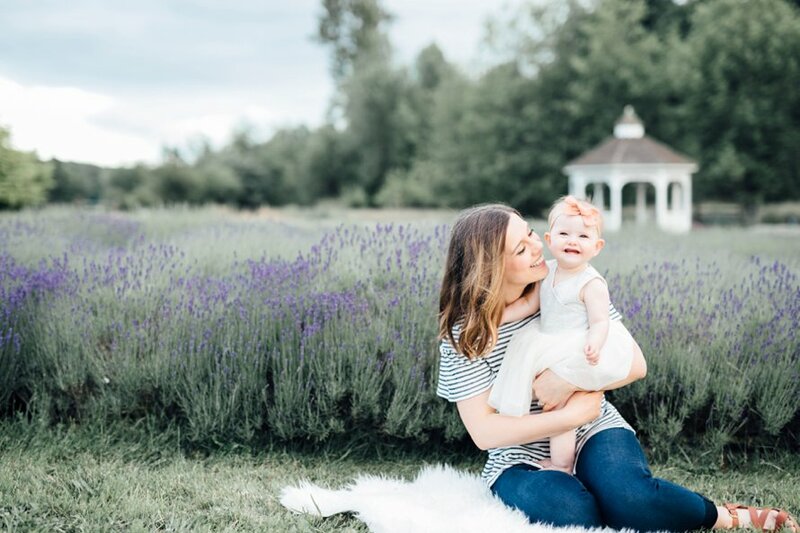 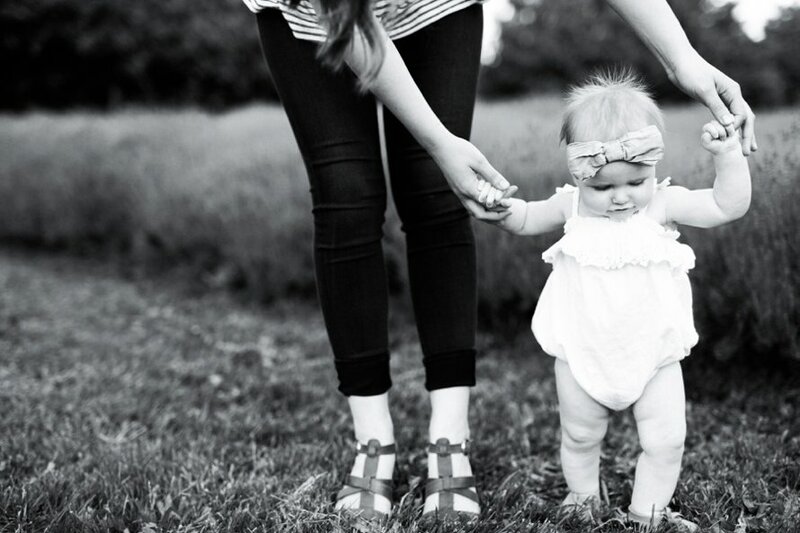 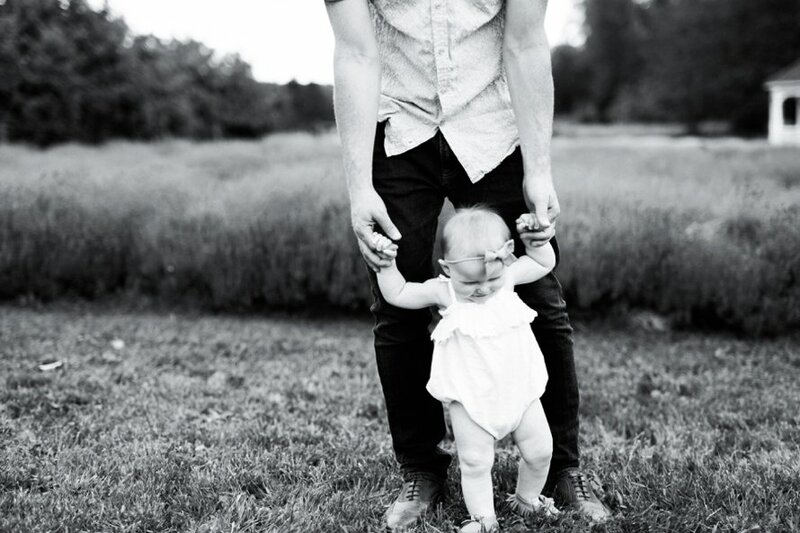 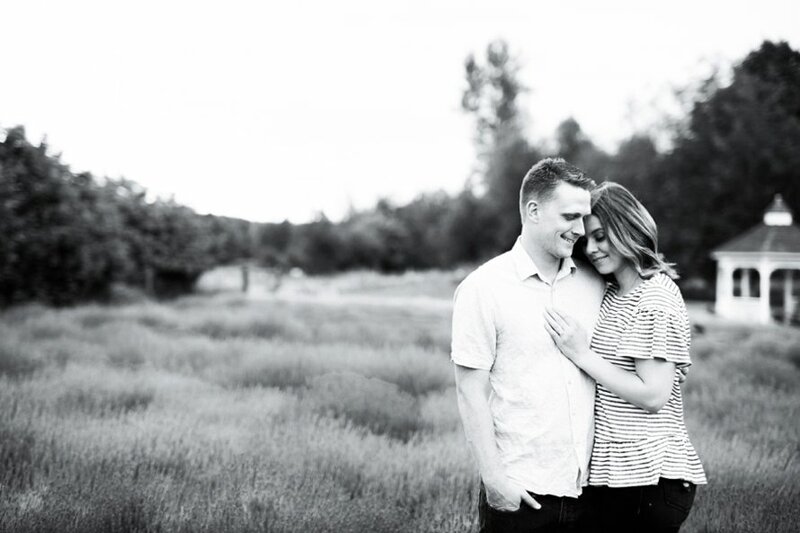 I've had the opportunity to photograph Brandon, Amanda and their darling Lennon throughout her first year of life and oh, it has made my heart sing!